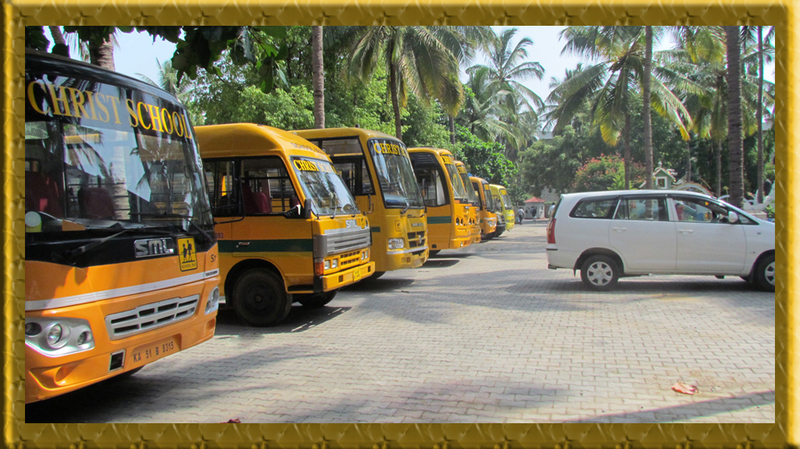 Christ School provides transportation facilities for Students from selected boarding points. Students, who wish to avail of the transportation facility of the School, have to register their names with the School office, before they pay the fee of transportation. Those who register their names for the School transportation facility are requested to use the transportation facility throughout the year. If anyone discontinues using it in the middle of the academic year, the fees paid will not be refunded. If any Student wants to discontinue the transportation facility, it should be reported to the office. No other requests will be entertained.